"I was born in Buenos Aires in 1962 but left as a child and never returned to live there. Since 1980, I have lived in Rosario. Though I have played the guitar since I was six years old, I didn't do it with the intention of becoming a professional until I was twenty. I studied everything I could, at the university and with private teachers, adding these skills to the ones I intuitively grasped from childhood. That's how I became a musician. 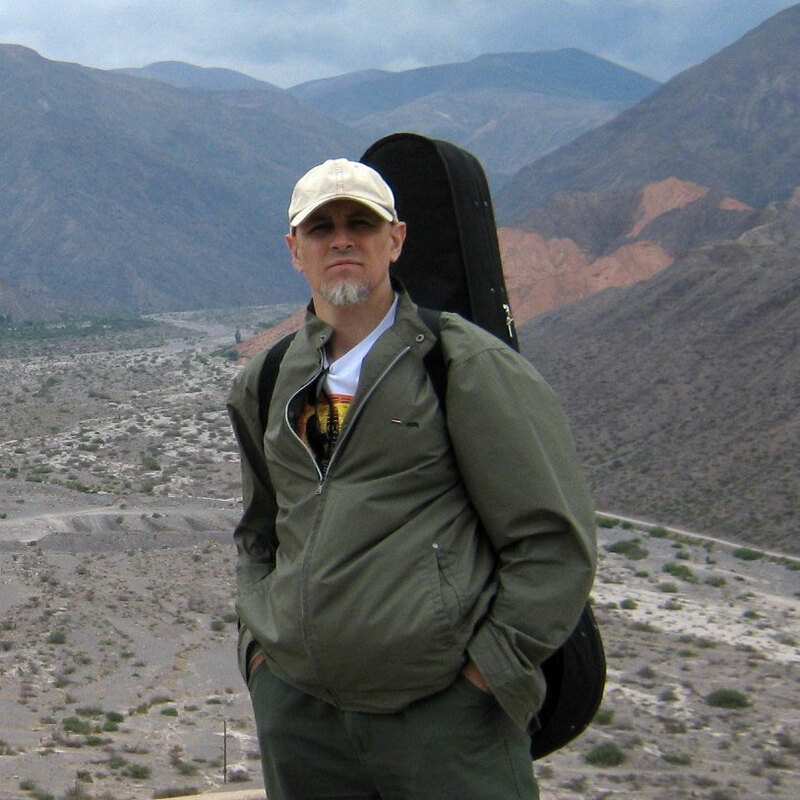 I have been a member of ensembles and played as a soloist; I have composed instrumental music, made arrangements, recorded discs, published books with my scores, gave lessons, and traveled with the guitar in tow. I continue doing all of this." The sheet music of this opus (twelve pieces for guitar) was printed in 2010. Now the PDF version is available too. The link to download it for free and the complete series recorded by the composer are below. Twelve pieces for guitar. Texts on popular mythology from where the titles were taken are included. Guitarist Christopher Dorsey has made a recording entirely dedicated to my compositions, which title is "Antiguo Canto: The Music of Marcelo Coronel". One of the works included in this CD is "Música de los Andes", a five pieces series. He commissioned me to write this composition. I did it and dedicated the opus to him. The score will be published soon. Here you have Christopher's recording, to have an aproach to the opus.